Strong demand from tech occupiers underpin its occupancy and rent growth. Singapore will continue to appeal to firms and staff in both technology and finance whilst promising firm medium-term rent growth in the next decade, according to Colliers International’s Top Occupier Locations in Asia: Implications for Investors report. As a location, Singapore ranked in second place for technology behind Bangalore and third for finance, with high scores on employment criteria, talent availability and human factors. It is the only Asian city in the top three for tech and finance tenants in Collier’s study, the firm noted. Despite being smaller than its Asian counterparts, Singapore is a major wealth hub, with investors in Singapore office properties likely to see a steady rent growth of over 5% per annum for the next five years. “The net yield of 3.6% for office assets is within the 3.5-4.5% range for most Asian developed cities other than Hong Kong,” Colliers said. Strong demand from tech occupiers underpin Singapore’s occupancy and rent growth in office buildings, as well as its industrial and business park assets which investors are already targeting, according to Colliers. The firm estimated that business park assets in Singapore yield 5.2-6.2%, whilst logistics assets yield 6-7%. The report drew on Blackrock’s purchase of Admirax which is a hi-specification light industrial building in Woodlands in Q2 2018 for $106m (US$78m) as an example of interest in industrial assets. As well, it pointed to ESR-REIT’s acquisition of modern ramp-up logistics facility Ceva Logistics centre for $96m (US$70m) and how such activity should persist and strengthen in the future. “We expect the supply of business park and high-specification industrial space to double by 2030,” the firm added. Meanwhile, interest from financial tenants also continue to fuel demand for prime Central Business District (CBD) office space, Colliers noted, predicting an average net absorption of 824,000 sqft per annum over 2018 and 2022. “Whilst this is below annual average new supply of 914,000 sqft, after several quarters of market strength, the vacancy rate has fallen below the ten-year average of 6.2% and should reach 4.4% by end 2018,” the firm stated. Citywide prime office rent growth is forecasted to grow 13.5% for 2018 and 8% in 2019, with an average of 5.4% for the period between 2018 and 2022 which suggests investors will continue to target office assets in Singapore with prices likely to follow rent upwards, according to the report. 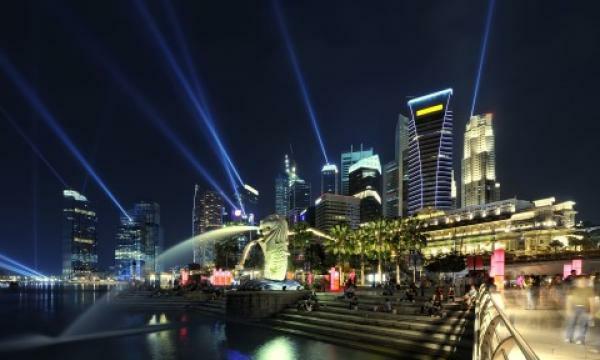 The report also noted how Singapore’s government continues to ensure that the city stays attractive to finance tenants. Colliers pointed to how the Monetary Authority of Singapore’s (MAS) plans to transform the city into a centre for capital raising and enterprise financing should assure investors that they can expect firm long-run demand from financial groups for office space.